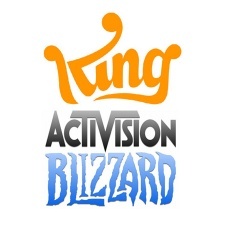 Activision Blizzard (NASDAQ:ATVI) has completed its acquisition of UK/Swedish developer King, having now acquired all outstanding shares at a price of $18. The means the overall deal is priced at $5.9 billion. The acquisition was announced in November 2015, which outlined that the deal would use $3.6 billion internal cash, with the remainder made up from an existing credit agreement. Of the deal, Bobby Kotick, CEO of Activision Blizzard, said "We now reach over 500 million users across almost every country, making us the largest game network in the world." "We see great opportunities to create new ways for audiences to experience their favorite franchises, from Candy Crush to World of Warcraft to Call of Duty and more, across mobile devices, consoles and personal computers." King will continue to operate as an independent company from Activision Blizzard, and there have been no changes to upper management within the company. Riccardo Zacconi, King's CEO, said, "We are thrilled to now be a part of Activision Blizzard and can't wait to start working together." "We are excited about the future as we continue developing more exciting games and explore new ways to serve our players and build on the greatest franchises in interactive entertainment." Whether the deal will be profitable for Activision Blizzard is yet to be seen. It has been said that the company overpaid for King, which, in its last financial report, has seen declining figures across the board.